Today, a large number of online retailers choose to send shipments via multiple carriers. They do this to get the best discounts based on geography, shipping method, volumetric size, and weight. At 3PL Center, we can make this process even easier by utilizing the latest shipping software to help you figure out which carrier to go with. Our software is programmed to support all the major shipping carriers. You will be able to manage your online orders as well as create and print shipping labels all in one place. What’s more, we can provide real-time rates from all available carriers. What are Discounted Carrier Rates? 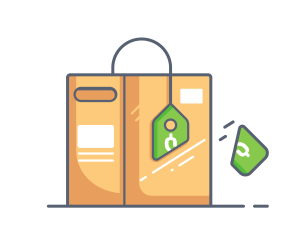 Also known as shipping discounts, discounted carrier rates are highly sought after by e-commerce retailers, large scale manufacturer and small businesses alike. Most major carriers want businesses to feel special by giving discounts to businesses; discounts that consumers aren’t eligible for. In addition, businesses that are not high volume users can also enjoy these discounts. Sometimes businesses can choose to stack or add multiple discounts together. However, you need to check with each carrier to know which discounts are eligible for stacking. Some of the common carrier discount programs include USPS business discounts, UPS business discounts, and FedEX business discounts. Why Should You Choose 3PL Center for Discounted Carrier Rates? 3PL Center was founded more than six years ago, and we have more than 45 years of combined experience in this industry. Since our inception, we not only amassed a wealth of experience in the provision of third-party logistics services, but built invaluable relationships with major carriers such as, USPS, UPS, and FedEX. That’s why you can benefit from our discounted rates, including rail, flatbed, full truck load, and LTL rates. Next, our meticulously designed solutions for discounted carrier rates grant you unmatched freight transportation power that will give you an edge on your competition. You will be able to take advantage of our instant quoting system and make quicker decisions when choosing carriers. 3PL Center is the only connection you need to access hundreds of freight carriers all in one site. What’s more, our fees are fixed and there are no hidden charges. You can easily manage all your domestic and international shipments online with complete peace of mind. As you can see, we do not just provide warehousing solutions to store or pack your merchandise. We also provide solutions that can move your products to your customers and business partners at the best prices. That’s how you build a successful supply and distribution chain for your business! Ready to Get Started with Discounted Carrier Rates? If you are seeking information to help you get the best discounted carrier rates, don’t hesitate to tap on our 3PL capabilities by sending us an email to sales@3plcenter.com or give us a call at 732-391-2500 today.